I hope you are having fun with these challenges. If you are, please share with me some of the things you have done! According to The Random Acts of Kindness Foundation, tomorrow is the start of Random Acts of Kindness Week. It starts tomorrow and goes through next Sunday (February 9-15, 2015). Smile or wave at someone. Rub a loved one's back or feet after a long day at work. Volunteer at your local food pantry. 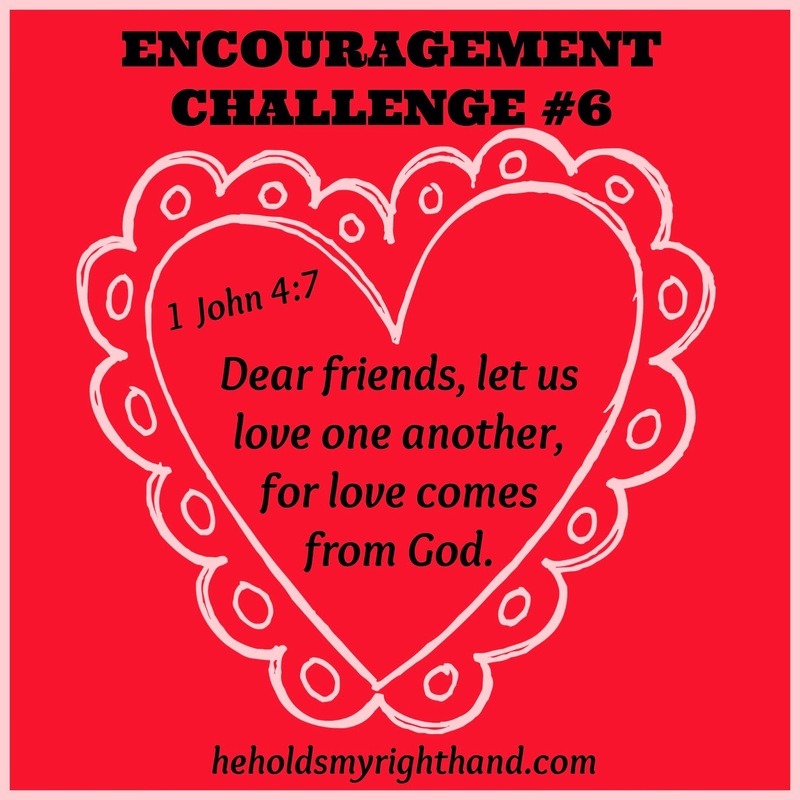 Send a positive/encouraging note to someone. Pay for someone's coffee or a donut. Leave some extra quarters at a laundromat, along with an encouraging note. Leave a generous tip for your waitress. Talk to a homeless person. Share a snack with him/her. Call or visit someone who is sick. Your challenge for this week is to choose one or two of the ideas above, and go do them. This coming Saturday is Valentine's Day, so another option is to send a card to someone special in your life, make little valentines to pass out at the local nursing home, or leave a box of candies on someone's doorstep. It can be anonymous if you like, but don't forget to include a Gospel tract or an encouraging Bible verse with your gift. Whatever you do, make an effort to show God's love to others this week. What a lovely idea! Thanks for your encouragement to really do such things--not just think about doing them!